Tea tree oil is gathered from the leaves of the tea tree in a process that involves steaming to remove the oil. The tree is native to Australia and has long been used as a homeopathic treatment for many ailments. According to the Mayo Clinic, it is most commonly used these days as a topical treatment for bug bites, skin and nail funguses (including athlete’s foot), and even lice. It’s available at full strength or diluted for direct use on skin; but if you decide to work tea tree oil into your self-care process, make sure you don’t ingest it! The oil is toxic if swallowed. Other side effects include skin irritation, which is common due to its many skin care uses. Common side effects include a rash, itching, stinging, burning, scaling, redness, and dryness. This is somewhat surprising as tea tree oil is used to treat quite a few of those issues! 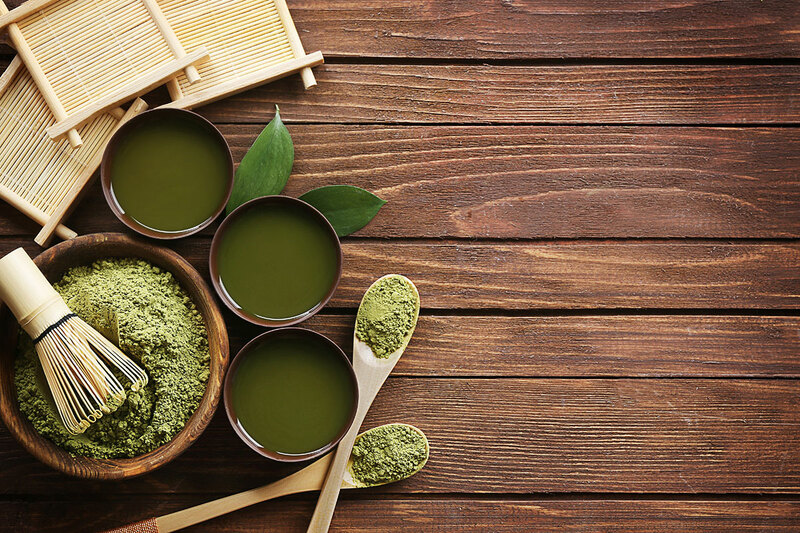 You may have noticed lately that tea tree oil has been making its way into the health and beauty section of basically every grocery store or department store setting, as well as spas and hair salons. Ask your stylist for hair products with a tea tree oil additive; it’s effective in fighting dandruff as well as cleaning and strengthening hair. Shampoos and conditioners have been utilizing the oil to combat flaky skin, and the best thing about these products is that they’re often free of the harsh chemicals that can cause other issues and irritation. One of the more surprising benefits of tea tree oil is its use for hair growth. Massaging diluted oil into the scalp not only prevents dandruff and irritation, but stimulates blood flow to the follicular cells, which kick-starts hair growth. Rosemary oil is commonly added for scalp treatments, and it’s suggested to treat your scalp and hair twice a week or look for a shampoo/conditioner combination that has tea tree oil as an ingredient. Tips and tricks! Do you or your kids have lice? Tea tree oil shows promise when it comes to killing lice, especially when combined with lavender. These products actually suffocate the lice and keep them at bay. More research is needed in this area, but so far tea tree oil seems to be a great all-natural remedy for these pests! The oil is great for skin care as well, but make sure that if you buy a bottle of full-strength tea tree oil, you’re diluting it at home before using it. You can dilute tea tree oil with other oils (such as coconut, olive, and almond) or water. Similar to scalp and hair treatments, skin treatments take care of both oily and flaky skin. Thanks to the antiseptic qualities of tea tree oil, it easily combats oily skin. And if you don’t want to have to buy an entire line of products to take care of other skin problems, this one natural oil could be the answer to your woes! It also soothes dry, irritated skin by reducing itching and inflammation. Keep an eye out for tea tree oil facial scrubs (which we love), cleansing pads, creams, and diluted liquids. Make sure you read the directions before use, and keep in mind that the oil has a very strong, astringent smell to it! One of the most common uses of tea tree oil is on nails. Specifically toenails, but if you’re interested in nail health at all, this could be a great product to work into your everyday care routine. The number one use for tea tree oil on nails is related to fungal growths, including athlete’s foot. It’s a natural anti-bacterial and anti-fungal. If used daily, it has been proven to clear up nail infections and keep them at bay. There are quite a few ways to go about using the oil on your nails (hands or feet): apply diluted tea tree oil directly, make a soak (this also exfoliates and removes dead skin), combine with aloe vera to make a soothing mixture, or look for oil blends that cut the harsh odor of the oil. Also consider keeping nails short, wearing shoes and socks that fit well, and letting your hands and feet breathe. All of these things can help fight nail issues and be used in conjunction with tea tree oil treatments. If you’re looking for an all-natural, all-encompassing product that provides more than one health benefit, you should consider working tea tree oil into your daily routine. As the market for this oil grows, it’s becoming more affordable and easier to find. If you don’t want to experiment yourself, reach out to your hair stylist or skin care specialist to discuss what products are right for you. Every person is different, and while tea tree oil is most definitely beneficial in many ways, using it the wrong way can result in uncomfortable side effects. As always we suggest doing your research! And keep in mind that this oil is meant for topical use – NEVER consume tea tree oil, as it is toxic. Stacy reports about entertainment on the Boston Leader. She loves everything about drama and gossip. She's also great at telling you about random actors and actresses that nobody has heard about.